Next-Gen Lithium-Ion Batteries – Combining Graphene + Silicon Could it be the Key? R&D Magazine: Why is graphene such a good material for energy storage? Jang: From the early beginning when we invited graphene back in 2002 we realized that graphene has certain very unique properties. For example, it has very high electrical conductivity, very high thermal conductivity, it has very high strength—in fact it is probably the strongest material known to mankind naturally. We thought we would be able to make use of graphene to product the anode material than we can significantly improve not only the strength of the electrode itself, but we are also able to dissipate the heat faster, while also reducing the changes for the battery to catch fire or explode. Also graphene is extremely thin—a single layer graphene is 0.34 nanometer (nm). You can imagine that if you had a fabric that was as thin as 0.34 nanometers in thickness, than you could use this material to wrap around just about anything. So it is a very good protection material in that sense. That is another reason for the flexibility of this graphene material. Another interesting feature of graphene is that is a very high specific surface area. For instance if I give you 1.5 grams of single layer graphene it will be enough to cover an entire football stadium. There is a huge amount of surface area per unit weight with this material. That translates into another interesting property in the storage area. In that field that is a device called supercapacitors or ultracapacitors. The operation of supercapacitors depends upon conducting surface areas, like graphene or activated carbon. These graphene sheets have, to be exact, 2630 meters squared per gram. That would give you, in principle, a very high capacity per unit gram of this material when you use it as an electron material for supercapacitors. There is are so many properties associated with graphene for energy applications, those are just examples, I could talk about this all day! R&D Magazine: Where is the team currently with the GCA-II-N and what are the next steps for this project? Jang: Last year we began to sell the product. In Dayton, OH, where we are situated at the moment we have a small-scale manufacturing facility. It is now about a 50-metric-ton capacity facility and we can easily scale it up. We have been producing mass qualities of this and then delivering them to some of the potential customers for validation. We are basically in the customer validation stage for this business right now. We will continue to do research and development for this project. We will eventually manufacture the batteries here in the U.S., but at the moment we are doing the anode materials only. R&D Magazine: What types of customers are showing interest in this technology? Jang: Electrical vehicles are a big area that is growing rapidly, particularly in areas in Asia such as China. The electrical vehicle industry is taking the driver’s seat and is driving the growth of this business worldwide right now. E-bikes and electronic scooters are another rapidly growing business where this could be used. Another example is your smart phone. Right now, if you continue to use your phone you may be able to last for half a day or maybe a whole day if you push it. This technology has the ability to double the amount of energy that could be stored in your battery. Electronic devices is another big area for application of this technology. A third area is in the energy storage business, it could be utilized to store solar energy or wind energy after it has been captured. Lithium-ion batteries are gaining a lot of ground in this market right now. Right now, another rapidly growing area is the drone. Drones are used, not only for fun, but for agricultural purposes or for surveillance purposes, such as during natural disasters. Drones are seeing a lot of applications right now and batteries are very important part of that. R&D Magazine: Are there any challenges to working with graphene? Jang: One of the major challenges is that graphene by itself is still a relatively high cost. We are doing second-generation processes right now, and I think in a couple of years we should be able to significantly reduce the cost of graphene. We are also working on a third generation of processes that would allow us to reduce the cost even further. That is a major obstacle to large-scale commercialization of all graphene applications. The second challenge is the notion of graphene as a so-called ‘nanomaterial’ in thickness that a lot customers find it difficult to disperse in water or disperse in organic solvent or plastic in order to combine graphene with other types of materials, make a composite out of it. Therefor people are resistant to use it. We have found a way to overcome this either real challenge, or perceived challenge. We can do that for a customer and then ship that directly to the customer. There is also an education challenge. It is sometimes difficult to convince engineers, they want to stick with the materials they are more familiar with, even though the performance is better with graphene. That is a barrier as well. However, I do think it is becoming more well known. 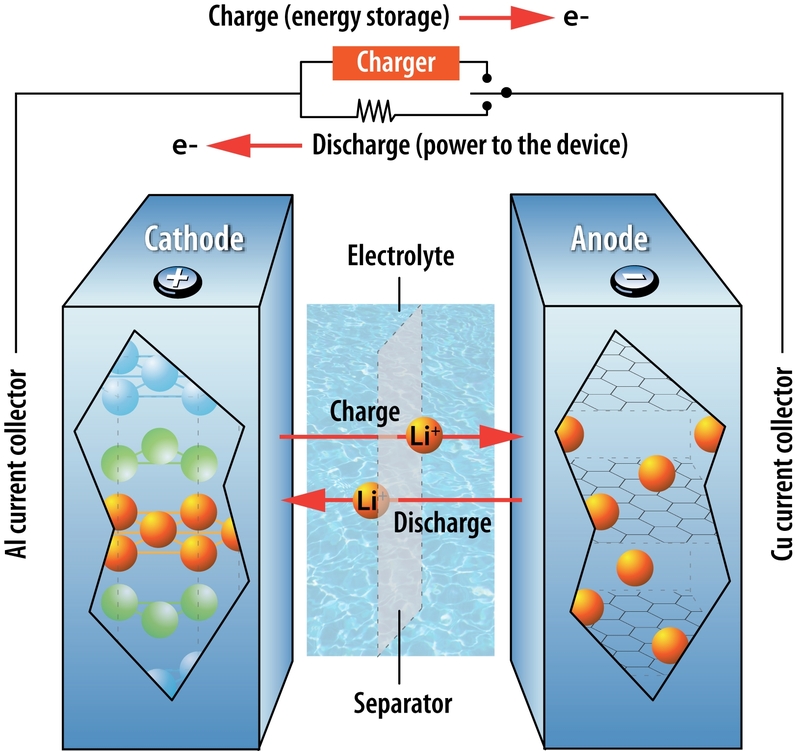 Lithium ion Battery Tech gets a ‘Cool’ rival: Frozen Liquid Air – Could LAES ‘de-throne’ the King? It’s the world’s first grid-scale liquid air energy storage plant – and with off-the-shelf components, it’s relatively easy and cheap to build and to scale. Air is cooled down, made liquid, and stored in tanks for weeks until you need electricity again. Sounds pretty cool, doesn’t it? But the sun doesn’t shine at night, and wind doesn’t always blow. Right now, the storage market is dominated by lithium ion battery technology, but despite Tesla’s worldwide total of one gigawatt-hour of energy storage, the available batteries can last about eight hours tops. “We absolutely must install multiple days worth of energy storage – we can’t get away with four to six hours only,” says Manghani. “It’s designed to handle very short duration contingency needs,” says Finn-Foley. That’s why batteries simply can’t provide peak power, or compete with and replace so-called ‘peaker’ plants – power plants like natural gas power stations that are only switched on to fill the gap at times of peak energy demand. They also can’t help extend the use of solar power to later in the day. “You’ll need 10 to 12 hours of continuous discharge duration, which means you’ll need four times the battery or more,” says Finn-Foley. LAES works by using electricity from the grid to cool atmospheric air until it liquifies, and then storing it in big tanks at low pressure at –196C – at a fraction of the air’s original volume. “The working principle is quite similar to a domestic fridge – just the temperature and pressure ranges are different,” says Ding. The air can stay in the tanks for weeks and even months, dissipating slowly – and the better the insulation, the slower it will vanish. “It can easily be kept in tanks for about two months,” adds Ding. LAES is not that efficient, though: Tesla’s battery in Australia is 88 per cent efficient, while LAES is 60 to 70 per cent, says Manghani. But as batteries can only store energy for a few hours, if they need to supply energy for longer, they quickly get very costly. LAES also cannot respond to grid signals in a matter of milliseconds like batteries do. On the upside, the liquid air project can provide energy in bulk, around a day’s worth of it (although the pilot can store just 5 MW of electricity – enough to power roughly 5,000 homes for about three hours; on a commercial scale, Manchester’s LAES plant could have the capacity of 50 MW). Manghani is even more prosaic: the world isn’t ready for LAES just yet. Even at the scale of current use of renewables in countries like Germany and Australia, “there is no market out there that needs such longer duration of storage solutions,” he says – experimental plants like LAES are looking for a problem that doesn’t yet exist. But in a decade from now, once solar panel arrays and wind turbines produce more than 60 or 70 per cent of our energy, long-duration storage will be crucial. And we can’t wait a decade to start finding a viable solution, says Manghani – we have to get ready now. The LAES plant “will need to operate for some time to demonstrate that they have truly worked out the kinks, says Finn-Foley. It also has to prove viability, which is tricky for a project that is supposed to run for decades. “Batteries degrade and must be replaced – but proving a forty-year lifetime is hard to do until you’ve run it for 40 years,” he adds. But in the end of the day, alternative technologies aren’t trying to usurp li-ion’s throne, but “carve out their own kingdom, with applications and use cases that they think they can do better,” he says. “So far they have been unsuccessful, but a pilot project proving cost-effectiveness is a crucial step.” For the next five years though, he says, “lithium ion will keep the crown”. Clean energy advocates are increasingly focusing their hopes on battery storage to supply power to the grid from the sun and the wind, particularly during times of peak demand when the weather might be, inconveniently, cloudy and still. He’s got that right. Lithium-ion batteries have improved markedly in recent years and are being used in New England, California, and in Europe to store power from renewable energy sources. In Casco Bay, Maine, a battery room packed with more than 1,000 lithium-ion batteries helps stabilize the grid, according to NextEra, helping to keep electricity flowing at 60 hertz, or cycles per second, the longtime standard for US households. And ISO New England reports that there are a dozen projects in the pipeline that involve connecting a battery to either a new or existing solar or wind facility. Because renewable energy sources are crucial for reducing the greenhouse gases responsible for climate change, demand is only going to increase as stricter regulations kick in and as new products are developed — car companies project that 10 million to 20 million electric vehicles will be produced each year by 2025. There’s a catch: Lithium-ion battery technology is approaching some very real limits imposed by the physical world, according to researchers. While battery performance has improved markedly and costs have fallen to around $150 per kilowatt hour, that’s still more than the $100 per kWh goal set by the US Department of Energy. Costs are also soaring for rare metals used in battery electrodes. High demand has led to shocking abuses in Africa, where some cobalt mines exploit child labor, and to environmental violations in China, where mining dust has polluted villages, according to recent reporting in the science journal Nature. In any case, Mother Earth isn’t making any more cobalt or nickel: Demand will outstrip production within 20 years, researchers predict. 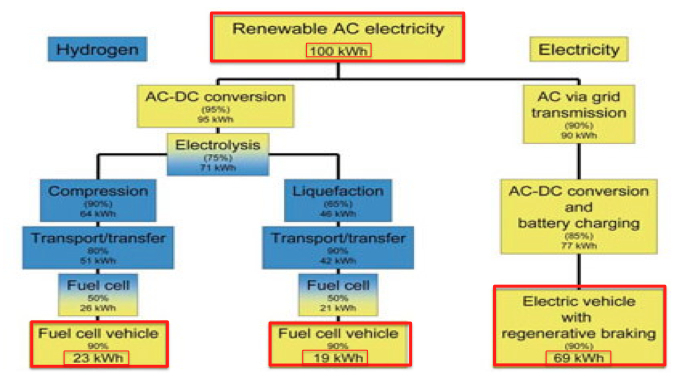 Although crucial, current battery technology is neither clean nor renewable. The net loss more than doubled from the same quarter a year ago, and was slightly larger than the first quarter. 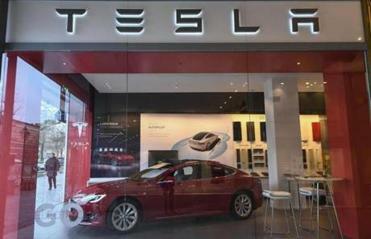 But Tesla’s cash burn in the second quarter slowed. But soaring demand could also drive a market for new technology. As Eric Wilkinson, general counsel and director of energy policy for the Environmental League of Massachusetts, said: “It’s good for policy makers to be thinking about this, because it helps to energize the private sector.” Aging technology, dwindling natural resources, and harsh working conditions all make the lithium-ion battery industry ripe for disruption. Bill Gates’s $1 billion bet on energy, Breakthrough Energy Ventures, has invested in Form Energy, which is developing aqueous sulfur-based flow batteries that could last longer and cost less. Battery storage may not grab as many headlines as advances in cancer research or genetics, but clean tech projects deserve a prime place on the Commonwealth’s R&D agenda. The right innovation ecosystem is already in place: science and engineering talent, academic institutions, and financial prowess that could unlock business opportunities and expand the state’s tax base. Strong public-private partnerships built MassBio. Maybe it’s time for MassBattery.